Enjoy magnificent views over Inverell and surrounds from the McIlveen Park Lookout viewing platform. 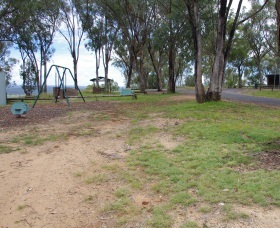 The lookout is located atop Tabletop Mountain, approximately three kilometres west of the town of Inverell off the Gwydir Highway. Picnic areas and a children's swing are provided for you to use while enjoying the views. McIlveen Park Lookout is accessible to coaches, caravans and motorhomes. The National Transport Museum consists of a display of over 200 exhibits. 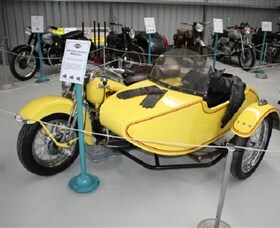 Cars, trucks, fire engines, motorcycles, bicycles, pedal cars, scooters and numerous models and transport related items make up the ever changing display. As well as a huge variety of the more popular makes of vehicles, there are some rare and exotic creations on display such as a 1906 Dayton which is believed to be the only working one left worldwide and two of the carriages from the Sydney Monorail. The museum also houses a display of antique dolls and wedding dresses, as well as a decorated cake display. 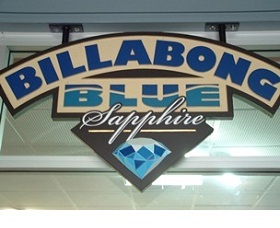 Billabong Blue Sapphires is situated in the Tourism Inverell Complex in Campbell Street at Inverell. They offer rough and cut sapphires and quality jewellery for sale, or you can have your find from the fossicking fields, or a rough stone you have purchased faceted on-site by highly qualified staff. 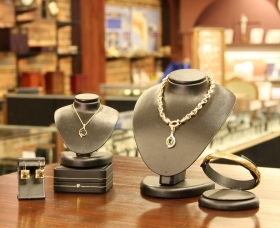 Come and browse the extensive range of jewellery, or the friendly staff can help you with your next purchase. Visitors to Inverell Jewellers have the opportunity to see a range of quality faceted New England Sapphires. In store you will find a range of set local sapphires in both sterling silver and gold. Their friendly staff will be happy to show you their range, from affordable keepsakes to a one of a kind piece. Tour groups are welcome by arrangement. Come in and experience the beauty of this local gemstone. 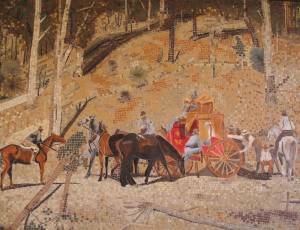 The Inverell Art Gallery has a diverse range of original art and craft items on display and for sale. The Gallery is placed within two unique heritage buildings, the old School of Arts building built in 1877, and Butler Hall which served as a supper room for balls and other social events. The buildings were combined in 1995 to accommodate a fast growing Art Gallery. The Gallery is also home to over 100 art acquisitions purchased on behalf of the community, for the community. Classes and workshops operate on a regular basis throughout the year. The "Meandering Macintyre" footpath mosaic is located outside the Art Gallery. The mosaic was constructed on 90 by 120 centimetre panels joined to form a 94 metre long path, which depicts native Australian wildflower, local birds, insects, fish, animals and reptiles, and represents the flow of the Macintyre River, which flows through Inverell. The Bicentennial memorial exemplifies the community spirit of the individuals and organisations who freely gave their time, technical skills, labour and much of the material to create a permanent memorial depicting the history and progressive development of the Inverell district prior to 1988. It features three courtyards each containing 14 sculptured bas relief panels, with a central connecting courtyard. Courtyard one depicts pre 1788, when the Inverell District was home to the Anaiwan, Bigambul, Jukambal, Kwiambal and Weraerai people. Courtyard two spans 1788-1888, the first century of white occupation in Australia, and in particular the settlement and development of the Inverell District. Courtyard three depicts the social and technological changes which occurred from 1888 to 1988, including the use of the resources of the district, and the growth of the town. A tile mosaic map depicting Alan Cunningham's travels through the area is at the centre of the memorial. Lake Inverell was formed in 1938, when the dam wall across the Macintyre River just upstream of Inverell was completed. Lake Inverell Reserve is now a peaceful aquatic sanctuary close to town. 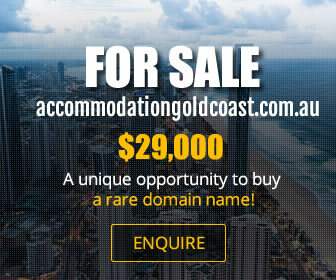 The area is home to a large variety of birds, platypus, kangaroos, wallabies and waterbirds, and is a popular area for barbecues, walking, bird watching and fishing. Dogs are permitted on a lead within the reserve. There are two walking tracks provided. 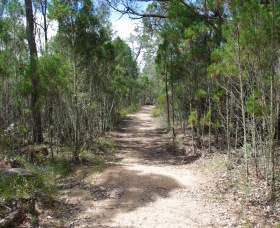 Lake Inverell Walk is a three kilometre return trip, easy grade walk. Keen walkers can continue on the Barayamal Walk, which passes through Barayamal National Park, and is a medium grade six kilometre return trip walk. Dogs are not permitted in Barayamal National Park. Barbecue and picnic areas are available for your use, and fishing and non-powered boats are permitted in the lake. Goonoowigall is scenic granite country, with low hills and large boulders marking the skyline, and covers 1,057 hectares. The name Goonoowigall is a Jukumbal Aboriginal word meaning 'wallaby rocks' and it features 120 species of native birds, native fauna, remains of Chinese settlements earth covered for a large part, and 10 kilometres of marked walking tracks. Within the reserve is the Nhunta Karra Kara (a Jukumbal word for 'quiet and peaceful') Track to commemorate the Aboriginal families who made the Goonoowigall area their home until the 1960s. At the main entrance you will find a grassy picnic area, toilet, barbecue and tables. Bring your own water. Brochures are available from Inverell Tourism or National Parks Offices describing the reserve, as well as the flora and fauna. This is a lovely area for a stroll or a long trek. 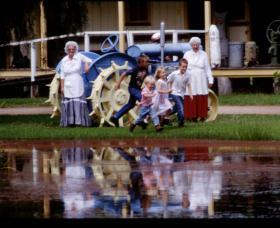 Inverell Pioneer Village is a collection of authentic historic buildings and homes from Inverell and the surrounding Districts dating from 1841 set in a peaceful village environment. Display's in the Pioneer Village include Grove Homestead which was originally built in 1841, Keera Station Blacksmith's Shop showing the tools of trade of the early blacksmith, The Mining Museum housing a collection of photographs and mining tools dating from the late 1800s from the Inverell, Tingha and Emmaville Districts, Rob Roy Hall with the George Devine Photographic and Camera Museum and the old Inverell Hospital Ward housing the RSL Museum of Militaria and memorabilia from all the wars in which Inverell District has been represented. Visitors to the village can also try their luck at finding a sapphire in the wash pond. Groups and coaches are catered for by prior arrangement and the village is available for functions. 7 Oaks Fossicking Property is a family operated private venue and has been producing sapphires since the 1960s. Located on Frazer Creek, 20 kilometres from Inverell, visitors are welcome to fossick at the facilities set up, or you can go and seek along the creeks and gullies. The wash tubs and picnic tables are under large shady trees with parking at the site. Bring your lunch, there are barbecues if you prefer a cooked lunch and enjoy the bush setting. On-site camping is available for an extra fee. 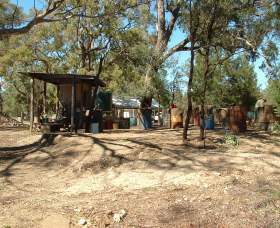 The camp sites are in a bush setting that back onto Frazer Creek with a camp kitchen, shower, bush toilet facilities and drinking water. 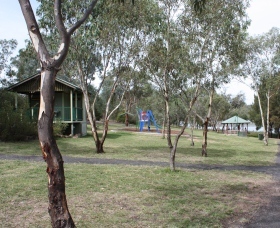 The camp sites are close to all facilities including the main fossicking area.